A visit to China is unlike a visit to any other place on earth. 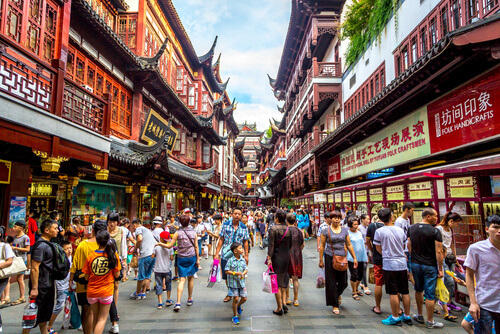 As a nation overwhelmingly rich in culture, history, art and cuisine, it’s little wonder China is an increasingly popular destination for Australian and New Zealand travellers. Changcheng (The Great Wall), Gu Gong (The Forbidden City) and Bing Ma Yong (Army of Terracotta Warriors) are known across the world and appear on plenty of bucket lists. Its industrious people have made an indelible mark on the world stage in scientific, economic and cultural pursuits. The first Chinese dynasty began in 1046 BC and the nation hasn’t stopped evolving – and achieving – ever since. The country is a significant record holder, too; it’s home to 53 UNESCO World Heritage Sites. Italy just nudges ahead with 54. Geographically speaking, China is incredibly diverse. As it borders the Pacific Ocean in the south, the country boasts breathtaking beaches to rival any in the world. There’s even a healthy – albeit little known – surf scene in Haikou, China’s very own Hawaii. This is juxtaposed against mountain ranges and the Gobi desert which runs 1,500 km along the Mongolian border. From ultra-modern international cities to traditional villages, China offers plenty. While its most popular attractions and sprawling cities are well-documented tourist destinations, China still holds a distinct air of mystery. Food and ease of travel top the list of questions, but wary travellers need not worry: China is a welcoming country, relatively easy to navigate, and, as for the food, who doesn’t have a go-to Chinese dish they love? If you don't, you might just discover one (or three) on your trip! Both Australian and New Zealand citizens require a visa for travel within China. The easiest way to organise a visa is through Visalink, an online service. Simply download the application forms for China, fill in your personal and trip information and post these, along with your passport, to Visalink. Inspiring Vacations customers in Australia are eligible for a 35% discount on the regular processing price by clicking here. Alternatively, visa applications can be submitted directly to the Chinese Visa Application Service Centre in your nearest capital city. You’ll need to book an appointment and go in person. Walk-ins are accepted but be prepared to wait. 2. Can I access the internet in China? While the internet is widely accessible across China and wifi is available in most hotels and restaurants upon request, there are some restrictions in place. Popular sites such as Facebook are often inaccessible without a VPN — or Virtual Private Network, while international news sites such as BBC and CNN are totally inaccessible without one. There are many different VPN options, but ExpressVPN is one of the most reliable. Simply create an account, pay the fee and download the application prior to departure. 3. What is the transport like? Public transport in China is reliable and modern. Most infrastructure, from roads to rail, is highly advanced in major cities. Much of the travel on tour will either be on an air-conditioned coach or train, while cities can be navigated by underground trains, buses or on foot. China is also home to a network of high-speed railways (HSR) capable of reaching speeds between 250-350 km per hour. Despite Japan being best known for bullet trains, the HSR in China is the most extensively used and longest railway network in the world. If you’re intimidated by the idea of using public transport in China, be rest assured that train stations in major cities are as easy to navigate as any found in other countries. Signage is in both Chinese and English and route maps are available. Alternatively, taxis are cheap but not especially fast thanks to the growing number of cars on the road. If you’re opting for a chuzu che (taxi), leave with plenty of time to spare and carry business cards or addresses written in Chinese characters to make things easier. And remember, a friendly smile and chuckle goes a long way. 4. Do I need vaccinations? According to the Australian Government Foreign Affairs site, Smartraveller, no vaccinations are required to enter China. However, Smartraveller recommends that visitors ensure polio and hepatitis vaccinations are up to date. You might also want to consider the Japanese Encephalitis vaccination. For detailed and personalised advice, visit your GP 3-4 months prior to departure. 5. Can I drink the tap water? Drinking tap water is not advisable, it must be boiled first. This advice applies to all major cities, as well as rural areas. Bottled water is readily available at restaurants and mini-marts and is often available free of charge in hotels. 6. Can I purchase alcohol? Alcohol is accessible in China, with Chinese wines and spirits being widely available in both major cities and rural areas. Local and international supermarkets in cities tend to carry Australian and international beer and wine. With Chinese wine and beer now on the world stage, why not go local? Tsingtao, China’s most recognisable beer, was founded in Qingdao in 1903 by German settlers – and since Germans know beer, you can trust it’s a decent brew. Baijiu on the other hand, is the most widely consumed spirit and packs a punch with an alcohol content upwards of 50% – tread lightly, and gan bei! (cheers!). 7. What sort of food is available? Chinese food in its native land is quite different from the creative adaptations found in Australian and western restaurants. Popular dishes such as sweet and sour pork are available but will taste and look a little different than you’re used to. Like their European counterparts, authentic Chinese cooking also tends to change according to the season: if you’re visiting the north, rich, warming dishes (like hot pot and soupy noodles) are commonly served in the cooler months, while lighter dishes (such as stir-fried egg and tomato and smashed cucumbers with garlic) will be served in the warmer seasons. If you need a break from Chinese food while touring, international fast food outlets are widely located and select western dishes are increasingly available in restaurants around tourist precincts. 8. When is the best time of year to travel? 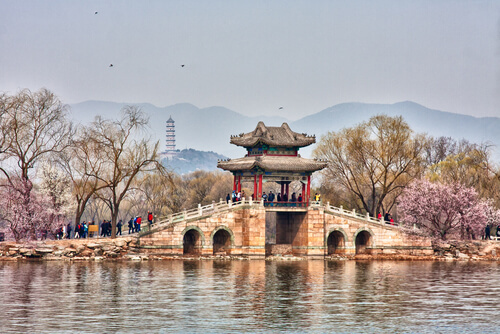 China is a sprawling country with a varied climate, so there is no right or wrong time to visit. It’s a good idea to consider specific destinations when selecting travel dates, however. In cities south of the Yangtze River, winter tends to be mild. While in the north, expect a bitingly cold winter with heavy snowfall. July to September is considered peak season. Autumn and spring transform the country’s parks into vibrant vistas. If you don’t mind the cold, there is nothing more beautiful than seeing Gu Gong (The Forbidden Palace) and Changcheng (The Great Wall) covered in a blanket of snow. The major national holidays are Spring Festival, or as we know it, Chinese New Year (February), and Golden or National Week (October). China is on par with other Asian destinations when it comes to your back pocket – your experience of it however, can be as low-budget or as plush as you like it. The average cost of a meal in a restaurant serving local cuisine tends to be between RMB20-80 (approximately AU$4-15). Street food is typically less. Another factor to consider is how to pay – cash is king, and many vendors and stall holders will not accept foreign bank cards. ATMs are found all over the country, but use one that accepts both international and local cards. Chinese Renminbi (RMB) can be ordered prior to departure from a foreign exchange service or, you can withdraw cash from an ATM on arrival. 10. Which essentials should I pack? As with any overseas trip, there are essentials from home that might need to be included. Tissues are especially important in China as some toilets — particularly outside of major attractions — don’t provide toilet paper. If you’re planning to travel in the summer, bring sunscreen from home as the alternatives can be pricey in China and contain limited SPF. There are three types of plugs used in China – three-pronged angled pins, two flat pins (the most common) or two narrow round pins. Electricity is 220V AC, 50 cycles AC so you’ll be able to use your devices if you’re from Australia, New Zealand or Europe. Adaptors are usually available from your hotel or can be easily purchased. Hong Kong, Macau and Taiwan tend to have different plugs, so if you’re planning a stop in these regions, be sure to bring a UK or US style adaptor.